Here is the entire set of eight 7-Eleven Slurpee cups that promoted the 1987 motion picture Superman IV: The Quest for Peace. 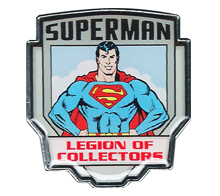 The series of cups contain 1) Superman, 2) Lois Lane, 3) Daily Planet Staff, 4) Nuclear Man, 5) Lacy Warfield, 6) Lenny, 7) Lois and Superman, and 8) Nuclear Man and Lacy. August 18, 2017 in FAST FOOD ITEMS. February 9, 2016 in ADVERTISEMENTS / PROMOTIONAL.